Synesys Technologies holding is a privately held investment group which focusses on strategic investments in technology companies that have synergy with our existing portfolio of companies. Synesys was set-up in November 2017 as an investment holding group to capitalise on high technology opportunities, born out of MEDs Technologies, a local SME in Singapore which showed substantial growth over the past 5 years. We therefore understand the constraints medium size companies face when they wish to expand globally, both from a financial, operational and networking perspective. Our value add to investments is our ability to assist our investee companies with operational support and access to global networks. The Synesys portfolio currently consists of MEDs Technologies where we continue to refine and grow our high value added distribution and design services. In addition, our first two product spin-offs are Continuumm Technologies and arQana Technologies. Continuumm Technologies is focused on providing solutions for high reliable wire harness and smart connecter solutions for industrial and military applications. arQana Technologies is a fabless design house that develops front-end solutions for wireless communications in the field of radar, satellite communications and leading 5G infrastructure. Tony Chia is the founder of both Synesys Technologies Holding and Meds Technologies. In the earlier part of his career, he founded an RF/MW distribution company that was acquired by Avnet Inc in 1996. With 30 years of management experience in the industry, Tony has invested in Synesys and its group of companies to help them become a global innovation partner. Kin Wah has 40 years managing experience in world leading semiconductor enterprises. Currently he is the Vice Chairman, Synesys Technologies Holding Pte Ltd,, Member of Supervisory Board , BESI BV Netherland and Member of Supervisory Board , AMS AG, Austria. Kin Wah was formally the Managing Partner of Beijing Jianguang Asset Management Co. China, Vice Chairman of Ampleon B.V Netherland , Executive Vice President , Global Sales and Marketing of NXP Semiconductor Netherland ; the President and Chief Executive Officer of Qimonda AG, Munich, Germany and the Executive Vice President , Communication Group of Infineon Technology AG. Munich Germany. He has also served as Non-executive Director and Chairman, Compensation Committee of RDA Microelectronic Inc. China and a Member of Supervisory Board, Azzurro Semiconductor AG, Dresden, Germany. Kin Wah is also chairman of arQana Technologies, one of the Synesys group companies. 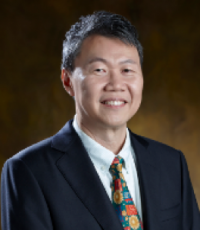 Mr. Kien Teck Chan is founder of both Synesys Technologies Holding and MEDs Technologies. He currently serves as the Synesys Group Chief Executive Officer, as well as the Chief Executive Officer of MEDs Technologies. 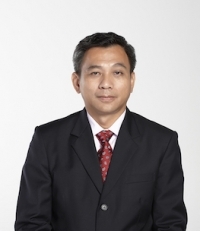 Gan Wah Teng currently serves as Group Chief Operating Officer of Synesys Technologies. In his previous role, Mr. Gan was Corporate Vice President at Infineon Technologies, responsible for all back-end operations. 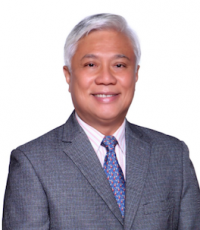 Mr. Gan acts as CEO of Continuum Technologies, one of the group operating companies. He also advises arQana Technologies on back-end operations such as manufacturing, testing, packaging, quality, reliability and failure analysis. 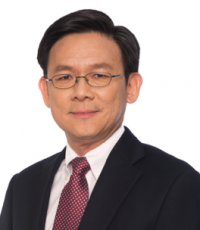 Eong Kow Teoh currently serves as Synesys Technologies Holding’s Group Chief Financial Officer. 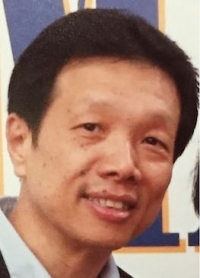 In the early part of his career, Mr Teoh obtained his Chartered Accountancy qualifications with KPMG in Melbourne and was an audit partner with KPMG in Singapore from 1989 to 1995. His previous roles also include Group General Manager positions with two stockbroking firms and as the Chief Financial Officer with a listed group in Singapore. He held the Head of Business Support position with KPMG in Singapore from 2006 until his retirement in mid 2015. With over 30 years of experience in general management, treasury, accounting and finance, Mr. Teoh advises arQana on treasury, accounting and finance matters. Glenn Vandevoorde serves as Group Chief Innovation Officer, where he guides early stage investments. 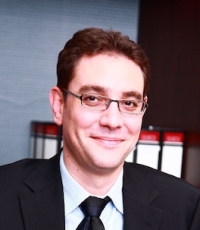 He also serves as Chief Executive Officer of arQana Technologies, one of the Synesys group companies. Glenn has 20 years experience in bringing high technology companies from concept to early revenues. Before joining arQana, Glenn was A/Prof at the National University Singapore as head of its Enterprise Development Lab. Prior to this, Glenn held the position of CEO at Future Waves, a fabless RFCMOS design house for digital tuners and was CEO of KOTO Enterprises Vietnam, a social enterprise providing holistic training to disadvantaged youth. Glenn holds a Masters in Microelectronics from the Katholieke Universiteit Leuven MICAS, and an MBA from the University of Chicago Booth School of Business.